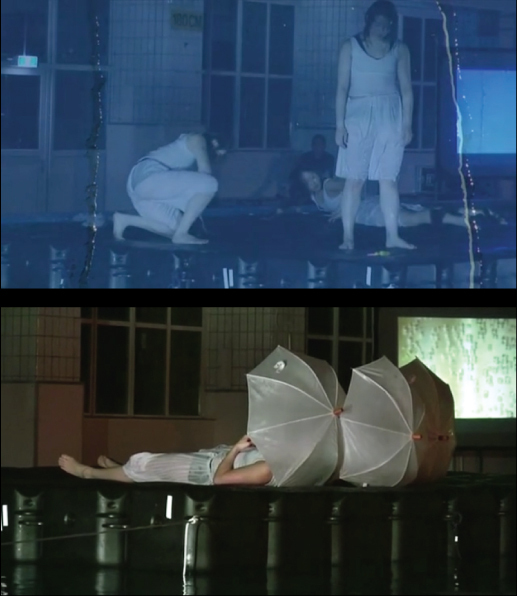 Multidisciplinary performance ‘H2O’ initiated, directed, produced and films by Kim Schonewille. Performance on the 7th of March 2008 in the ‘Van Maanenbad’ in Rotterdam. Flowing movements of dancers on an island, persistent tones from musicians on the shore, combined by the thread of film. Seven months of preparation will fall into the water during the premiere. 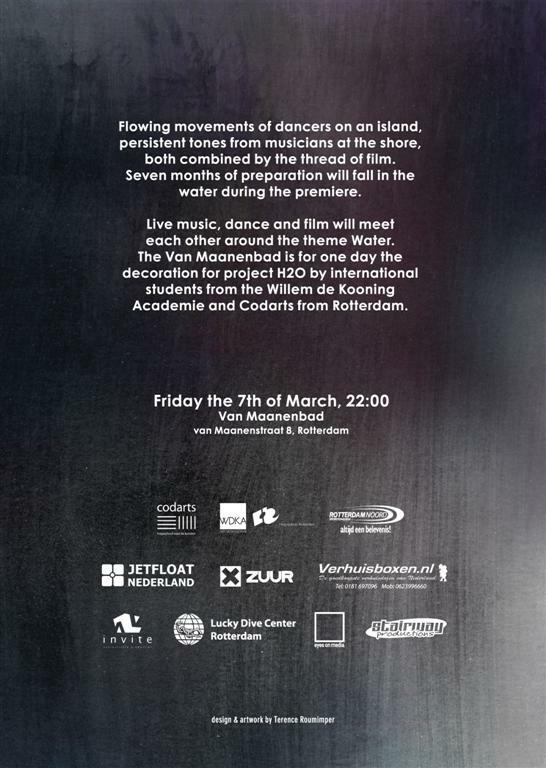 Live Music, dance and film will meet each other through the theme of water. For one single day, the Van Maanenbad swimming pool is the backdrop for the H2O project by students of Willem de Kooning Academy and of Codarts – Art Schools in Rotterdam. 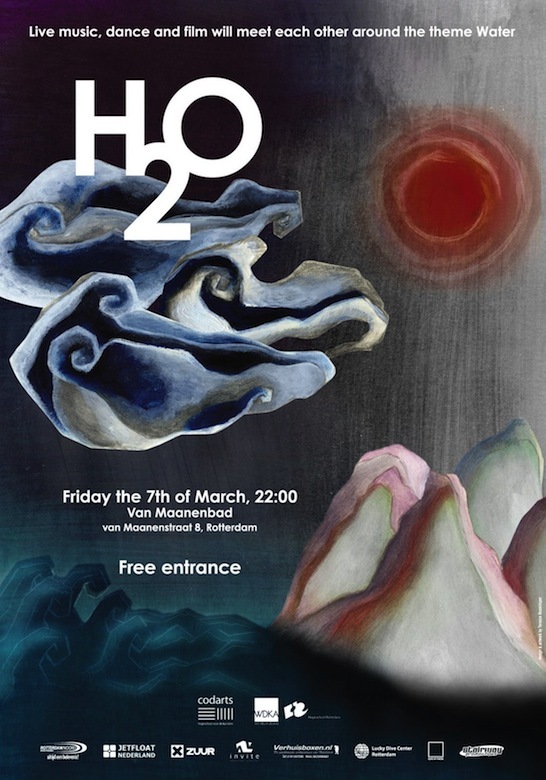 In my third study year at the Willem de Kooning Academy, BA Audiovisual Design, I organized the project ‘H2O’, where I collaborated with students of Codarts, the Rotterdam Conservatoire and Dance Academy. In September 2007 the group started brainstorming on a theme for this event. We ended up with ‘Water’, and later the more specific topic ‘the Cycle of Water’. In December that year, the scenario was written and in January 2008 we started with weekly rehearsals, in which the initiative always comes from, and from within, the participants. Students of composition provide live music, both fully composed and improvised music. Dancers create movement guided by the theme of water and its movements. And I, in the role of filmmaker, have been collecting imagery, symbols and metaphors referring to water. All disciplines intercommunicate and finally present themselves in one coherent event after working together for 6 months. 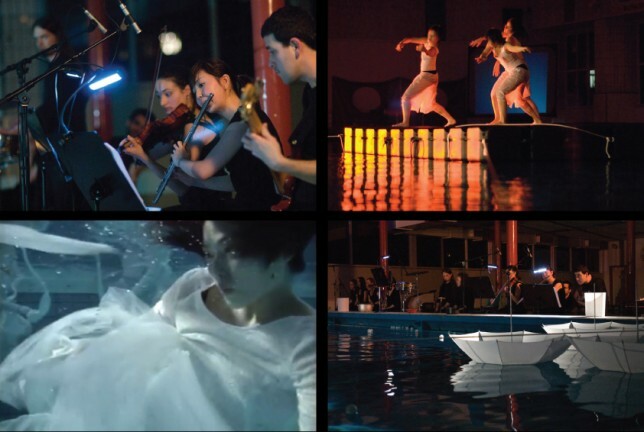 The project ‘H2O’ developed into a performance, which combines various creative disciplines: dance, film, live music and live sound effects. Working from quite diverse curricula, we cooperated to produce a final product: an event in the municipal swimming pool Van Maanenbad in Rotterdam where ‘The Water Cycle’ plays a central role.